Having shied away from the hi-fi market in the early noughties, Pioneer is slowly building its product base once more. Its latest LX Series AV range, which falls under the Kuro banner (meaning 'Black' in Japanese), contains an upmarket (for Pioneer) universal disc player, called the LX50. Priced at £450, the new universal is a departure from the budget DVD players Pioneer has recently been producing. Described by the Japanese giant as having a "high-end luxury series cosmetic design", the player not only looks slick, it also boasts a number of audio and videophile features, which should make it as good with movies as it is with music. These include a double-layered chassis, a 12-bit/216MHz video digital-to-analogue converter (DAC) and a 24/96 on-board DTS surround sound decoder. 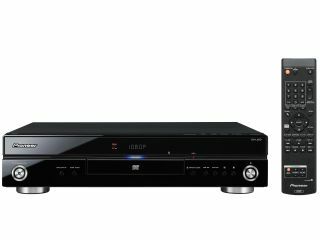 In true universal style, the LX50 boasts SACD and DVD-Audio playback as well as the full gamut of disc-based audio formats, including MP3, WMA and AAC files. As you might expect, the new player is HDMI compliant and it has the ability to stream SACD audio through the HDMI connection. Further features include video scaling to 1080p, DivX Ultra compatibility and WMA playback. Pioneer universals have been successfully modified into high-end machines by hi-fi specialists such as Townshend Audio and Accustic Arts, which could make the £450 LX50 something of a bargain.